From last weekend’s fun Duck Drop, to our awesome volunteers, who have steadily removed sunchokes (Jerusalem artichokes), faithfully watered all our plant babies, built a home for future mammoth sunflowers, and have pulled up more weeds than you can imagine, we’re convinced that our neighborhood is neighborGOOD! More evidence was presented last week that our kick-off efforts were not in vain. Seedlings have been spotted in nearly all our beds. We’re patiently awaiting the following vegetables: peas, spinach, carrots, onions, peanuts, artichoke, and lettuce. 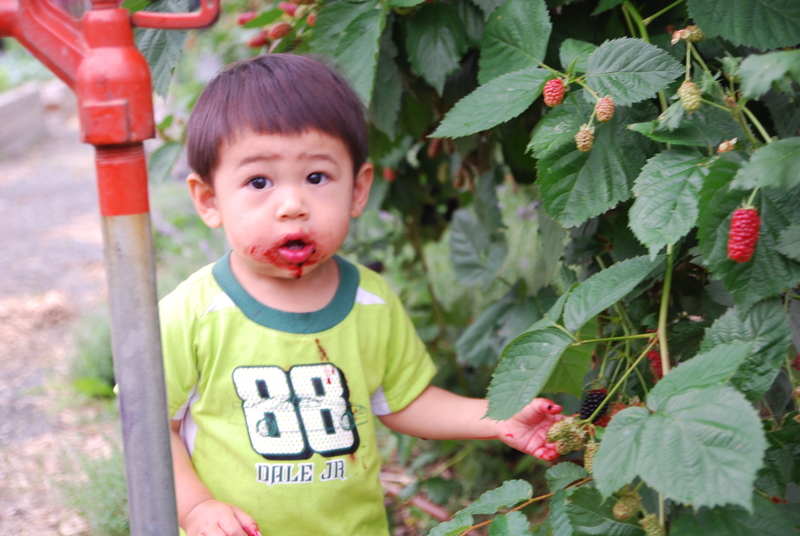 The strawberries should become ripe around Memorial Day, and the garlic should follow behind it in early-mid June. Of course, we’ll let you know when it’s all ready! Until then, we’ll need to continue to do what we’ve been doing. Earlier this year, SW garden representatives, Farmers Coy and Pam, met with James Ewing, the lead STEM (science, technology, engineering, and mathematics) teacher at the local public elementary school, Amidon-Bowen. 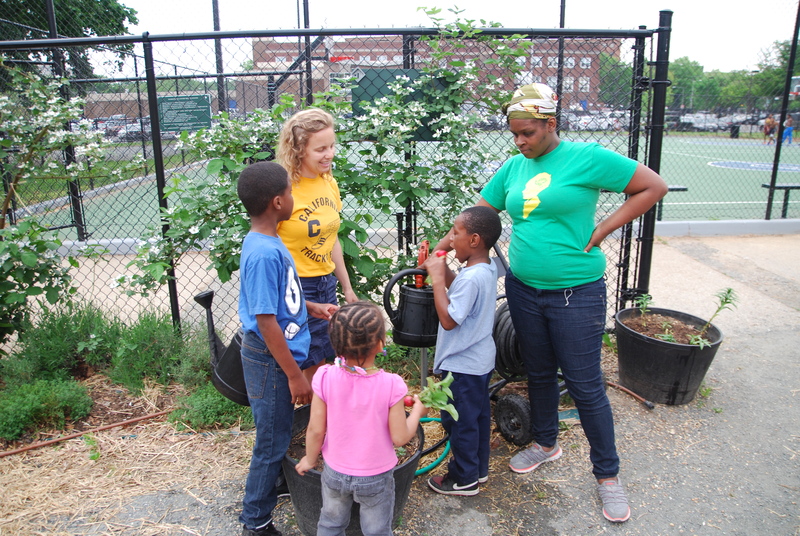 We spoke about ways the garden could support the gardening activities going on at the school, especially since some of our best young farmhands are students there. 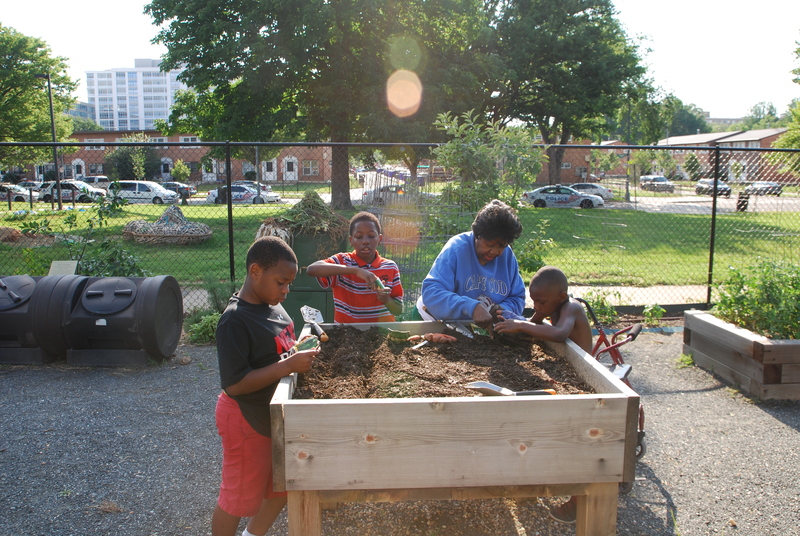 The Amidon-Bowen Elementary Greenhouse Project will bring STEM learning to life. This grant will help us bring a large working greenhouse to our starter garden, help us build on our existing garden, develop a working hydroponics grow garden for year-round learning and cultivation, and help us build our working, living terrariums. 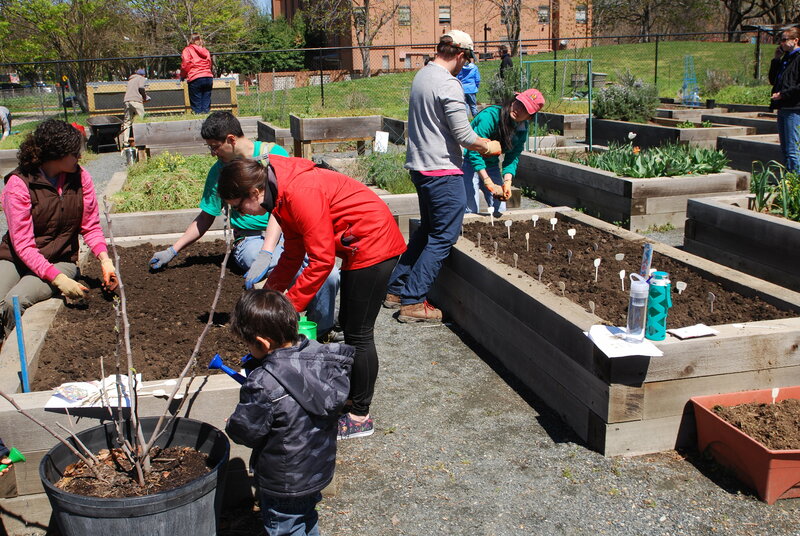 Our partnership with SW Community Gardens will help students understand the importance of sustainable gardening while also supporting healthy eating. 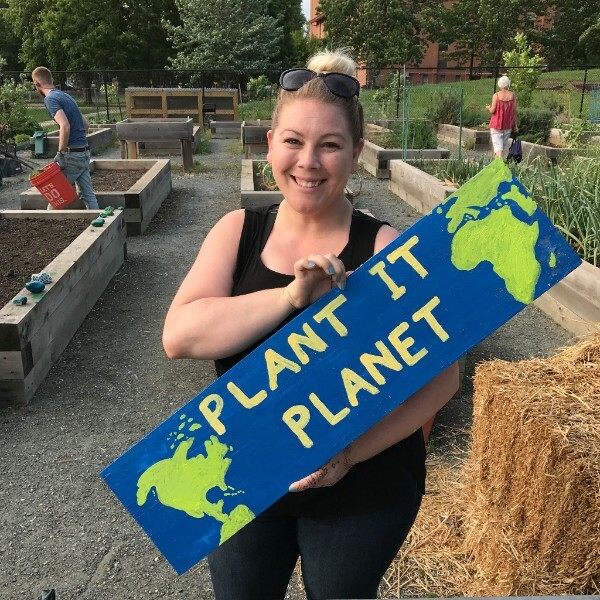 Students will learn alongside family and community volunteers to explore environmental sciences and expand on the experience of building an urban community garden program. Our students will not only learn about the growth and production of plants but will use the harvest to support families and food banks in our community. This grant will help develop our next generation of community activists, scholars, and STEM leaders. To vote, and view their 3-minute video, click here. 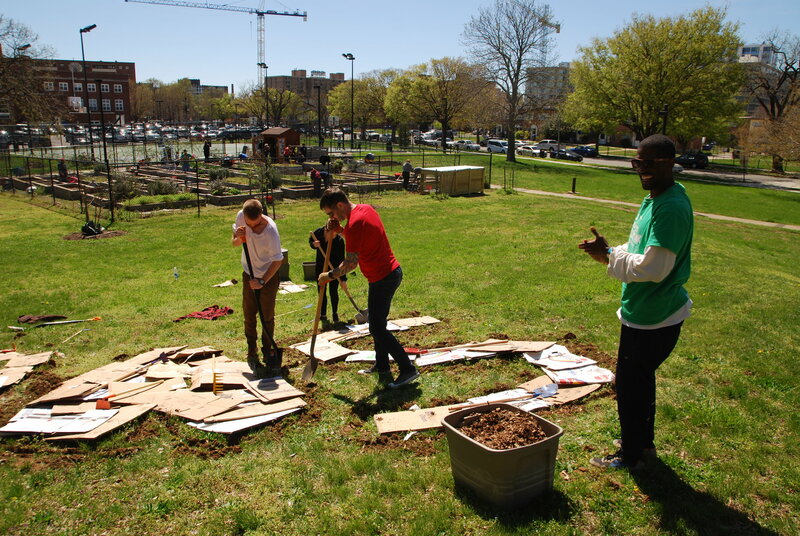 This Wednesday, May 3rd, from 1-4pm, Dreaming Out Loud will be having a garden work day at their space behind Blind Whino. 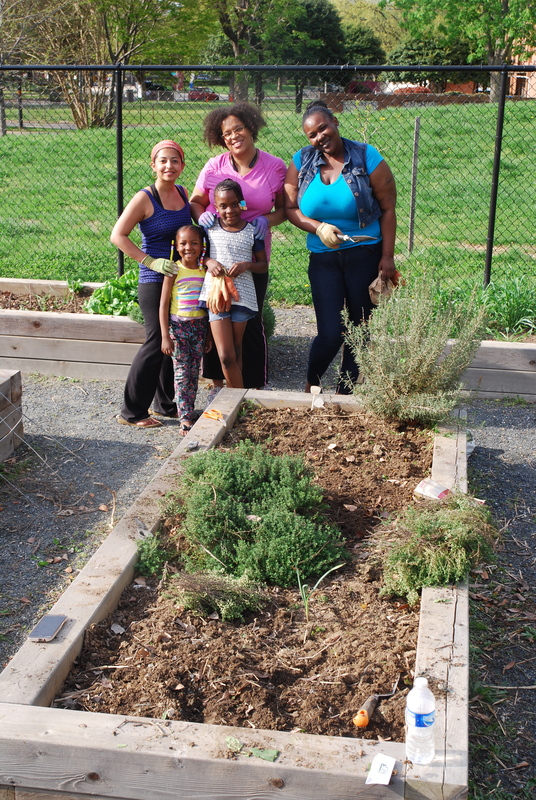 Volunteers will contribute to the revitalization of the garden by building raised beds and planting vegetables for the upcoming harvest season. Participants will receive a t-shirt, lunch and certificate of completion for service credit. To RSVP for the event, click here. We’re Ready For The Spring Kick-off! Ready For The Spring Kick-off! 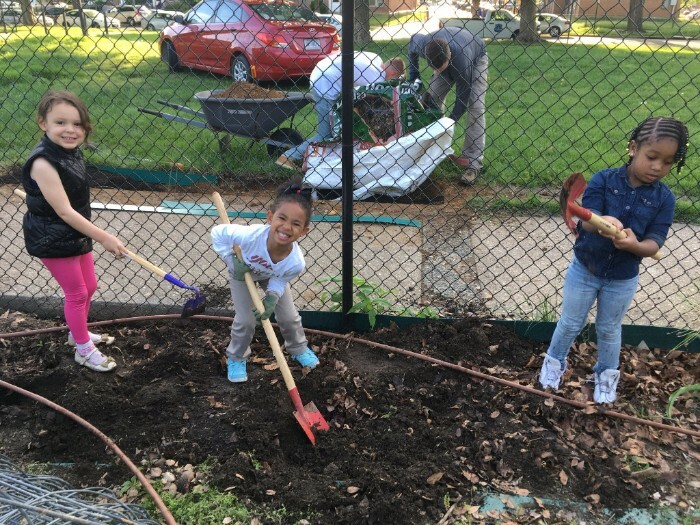 Last Wednesday, despite the chilly weather, a group of SW neighbors worked with a volunteer group from Georgia, organized by Mercy Hill Church, to get the garden ready for the spring kick-off. We successfully fixed a couple of the wheelbarrows and the entrance to the garden, pulled up weeds, and turned over all our cover crops. We are now ready to start the gardening season! 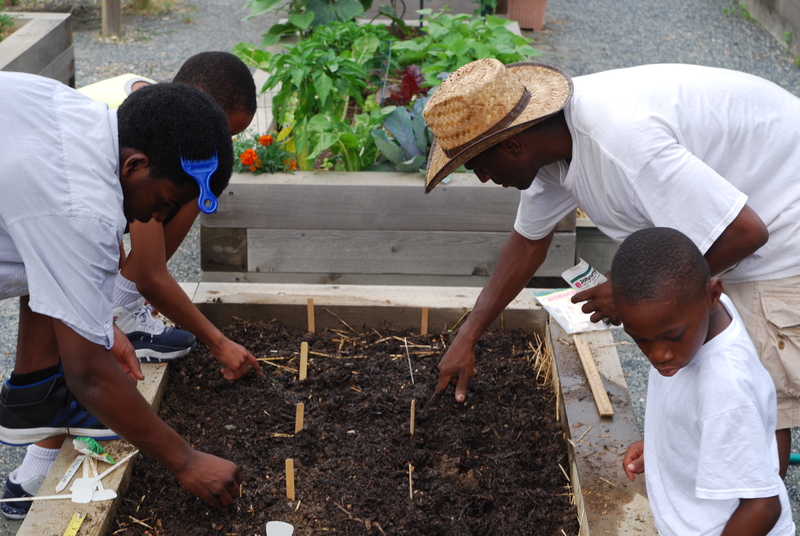 At the kick-off, we’ll be trying our hand at companion planting for the first time. Companion planting is the intentional planting of mutually beneficial crops next to each other. This method maximizes space, deters pests, and encourages a healthy growing cycle. 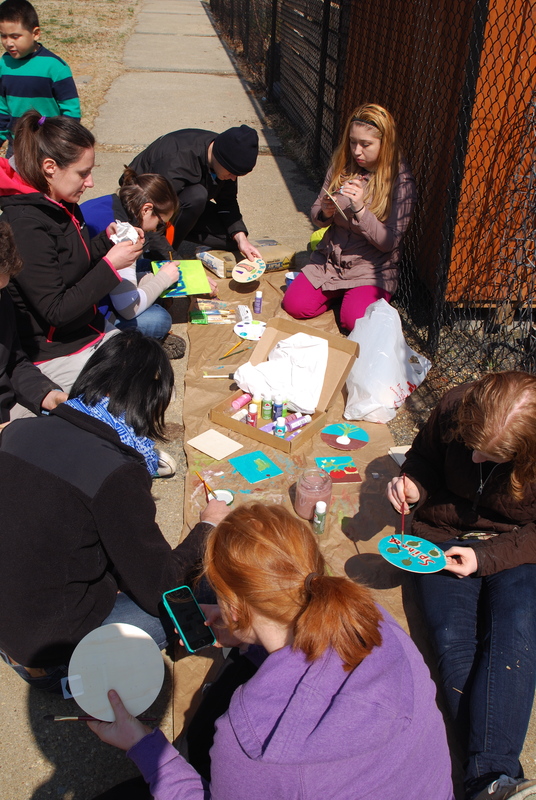 If you’ve attended one of our previous kick-offs, you’ll already know we follow a PIY tactic — plant-it-yourself! 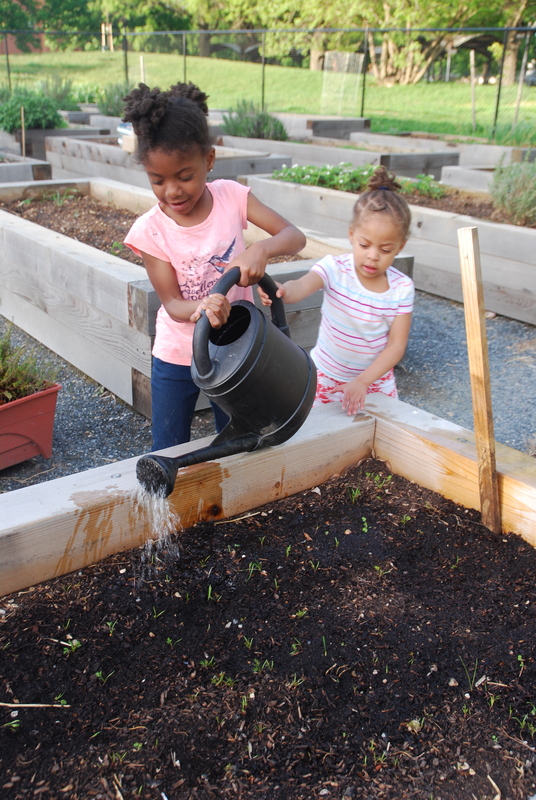 The combinations we’ll be planting this spring will be the following: onions/carrots, peas/spinach, and carrots/lettuce. If you’re interested in learning more, and trying out this strategy, come to the kick-off! In order to prepare for the spring kick-off, we’ve organized a pre-kick-off work day for Wednesday, March 22nd, starting at 5:30pm. 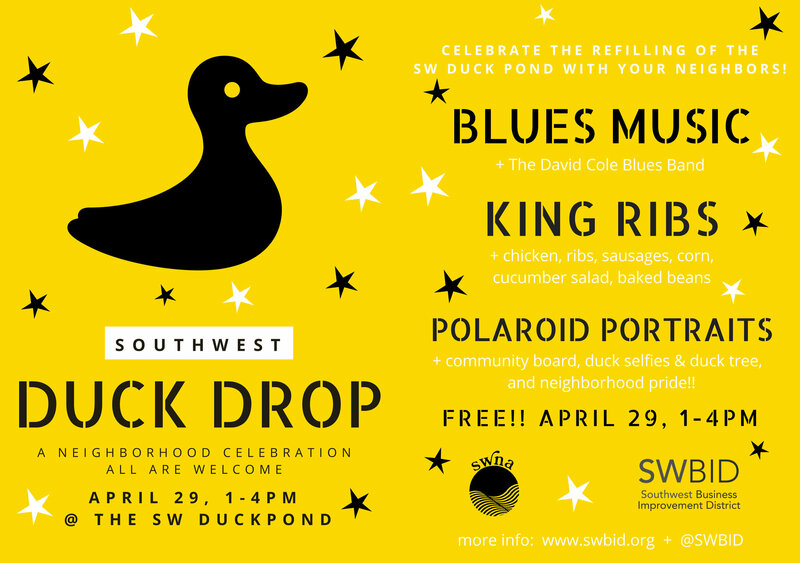 During this time, we’ll be turning over our cover crops, pulling up weeds, fixing the wheelbarrows and the fence, organizing the tool shed, and preparing to build our new SW-inspired flower garden. We’ll be helped by a group of volunteers organized by Mercy Hill Church, which is a new church in the neighborhood that will have teams of people coming to town regularly between March and August with the sole goal of serving the community. We visited the garden last weekend to see how it was doing, and, as you can see from the photos above, it’s looking great! 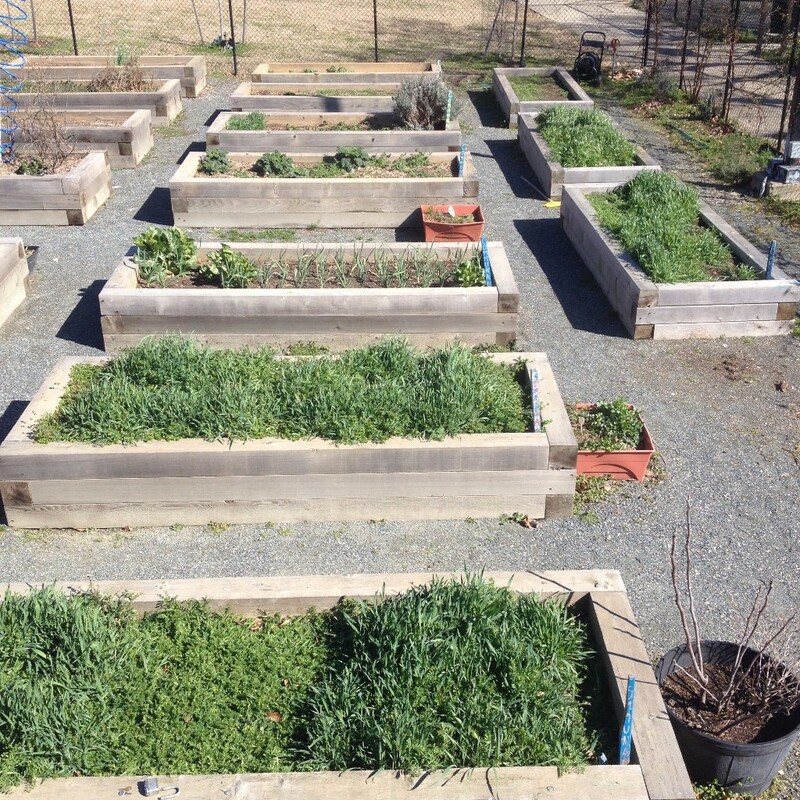 The cover crops, garlic, kale, and collard greens are all doing well. A note about cover crops: cover crops are great for growing over the winter, as they prevent soil erosion, and help provide valuable nitrogen to the soil for future plants to consume. 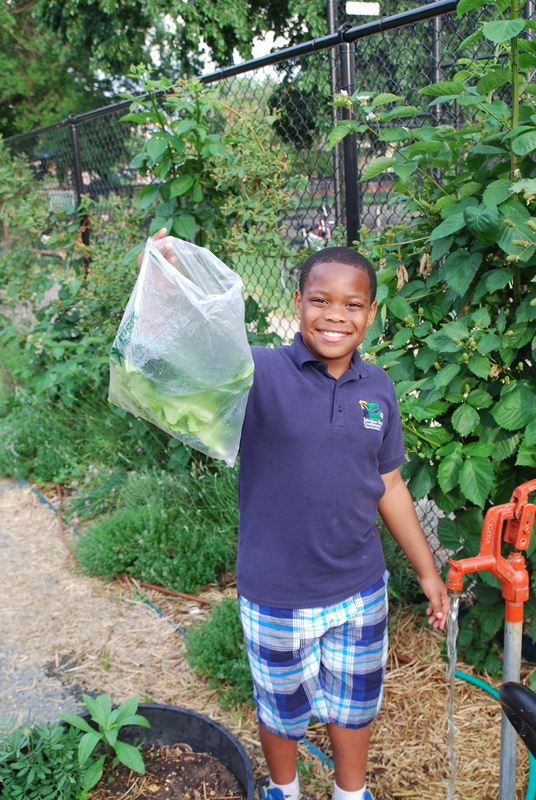 It was especially exciting to see the success of the collard green experiment we tried last fall. 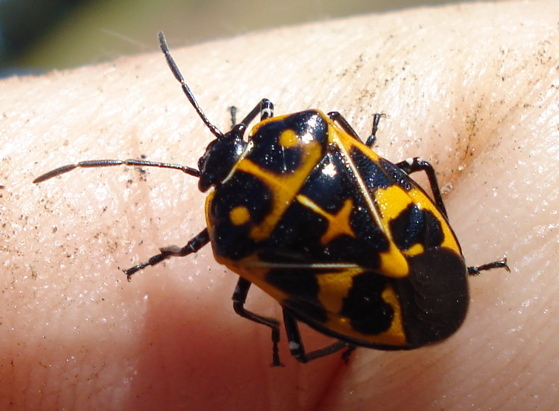 To summarize, here’s what we tried: we noticed that the collard greens we planted last spring were becoming a popular hang-out spot for the aggravating harlequin beetles during the summer months. There are no natural predators for the beetles, so the only way to thwart their growth is to manually remove them. We decided that our approach would be to decrease their habitat — thus, we cut the collard greens down to about 2 inches above the soil. The hope was that the greens would grow back, but by the time they had, it would be too cold for the beetles. And now, we see the result — the collards are almost as bushy as before! Just a reminder that our spring kick-off will be on Saturday, April 8th, from 11am to 3pm. You can RSVP via Facebook, if you like. and we’ll be creating a new SW-inspired flower garden. 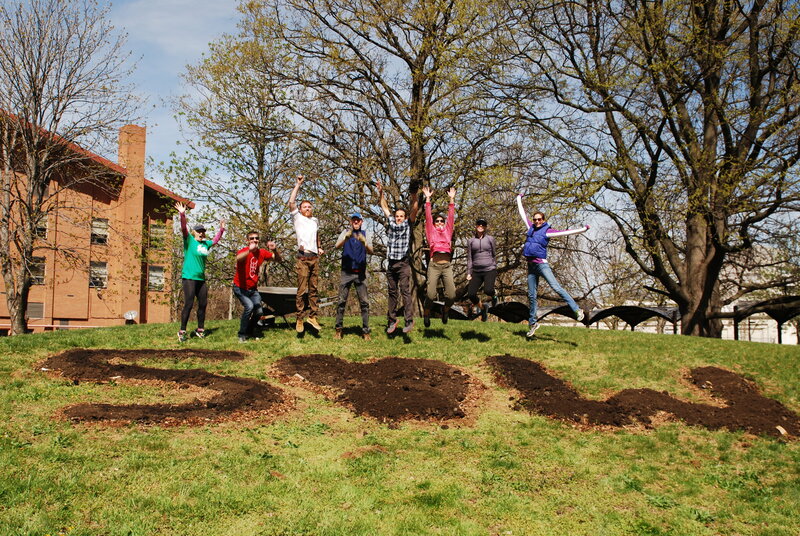 The new garden will be in the shape of the letters S and W, with a heart in between — S ❤️ W.
If you’d like to help with any of the planning, or have suggestions for additional activities, feel free to get in touch! Thanks to everyone who came to our get together last Saturday! We had a great discussion, and it was refreshing to see both new, and familiar faces. 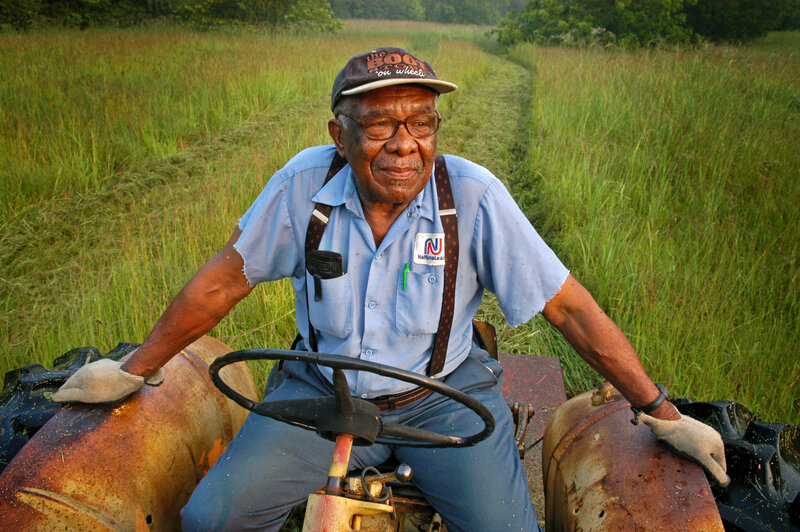 In honor of Black History Month, consider reading this piece written in 2005 by Juan Williams and published by National Public Radio on the history, and current status of Black Farmers in America. Getting Ready For Our 4th Annual Spring Kick-off! Are you ready to get your hands in some dirt again? Well, spring is getting closer and closer each day, which also means it’s time to start planning for our annual, spring kick-off. The kick-off marks the beginning of the communal section’s growing season, and the resumption of regular workdays. 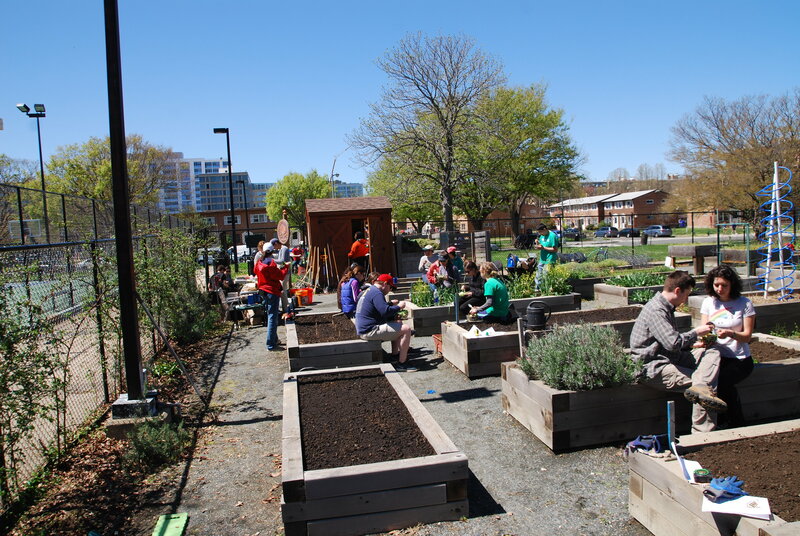 In previous years, we’ve held cooking demos, compost workshops, planted potatoes in buckets, painted garden signs, and of course, planted seeds in the communal section (photos from previous years can be found here: 2014, 2015, 2016). So… what have we got planned for this year? We don’t know yet, but if you’d like to help us figure that out, please fill out this Doodle poll by Sunday night, February 12th. The next day, the 13th, via this newsletter, the most convenient day and time will be shared for anyone to attend. Our goal for 2017 is to continue the momentum we’ve created over the past couple of years. 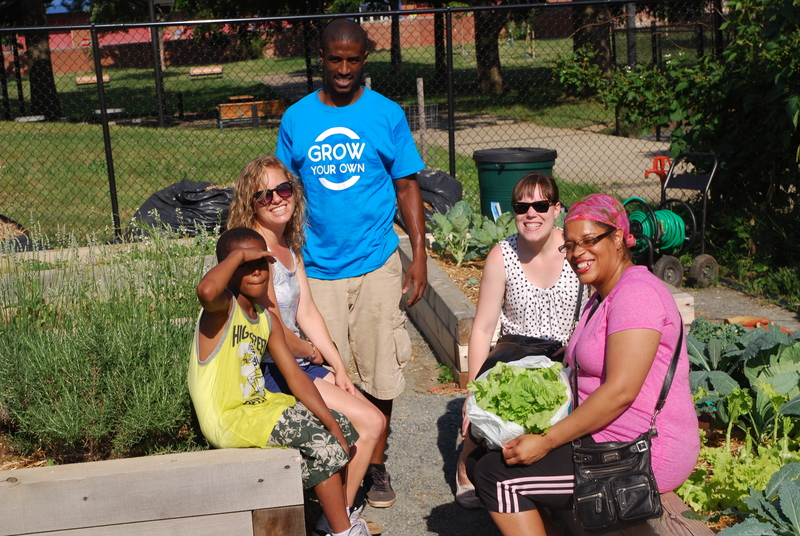 In 2015, we grew 65 pounds of produce and averaged about 10 people per workday; in 2016, we grew 140 pounds and averaged almost 14 people per workday. Please feel free to share with us your talents, ideas, energy, and any other unique attributes! 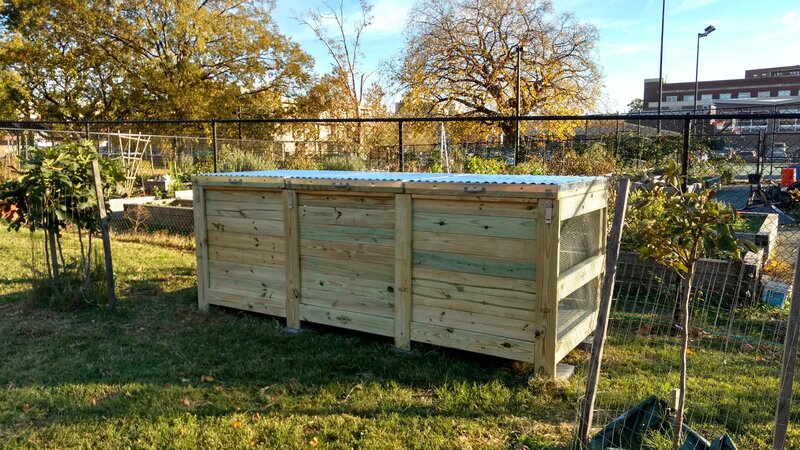 Oh, and hey, the brothers at Urban Farm Plans built us a new compost bin that will be accessible all day, every day! Well, friends, yesterday, was the garden’s last workday of 2016. The cover crops are in, and the gates are closed. It’s been a fantastic year in the garden — we grew, and distributed more fruits and vegetables than we had our previous 2 years, and had a record number of visitors to the garden. 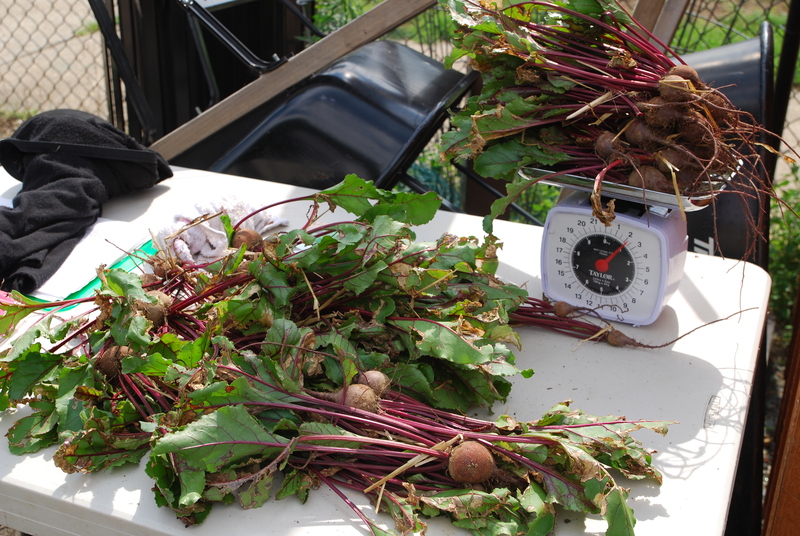 Last year, we grew 65 pounds of produce, and this year, we stepped up our production and reached 140 pounds! 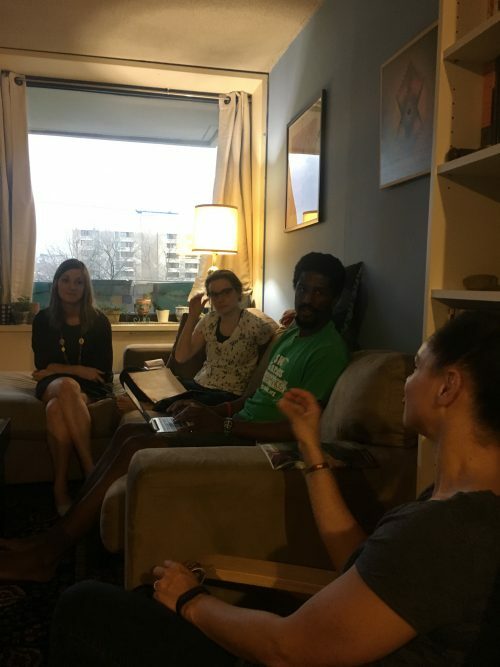 We also took another step forward in our pursuit of creating a true “community garden” rather than a “garden in a community” by connecting with more of our SW neighbors (and honorary SW residents). 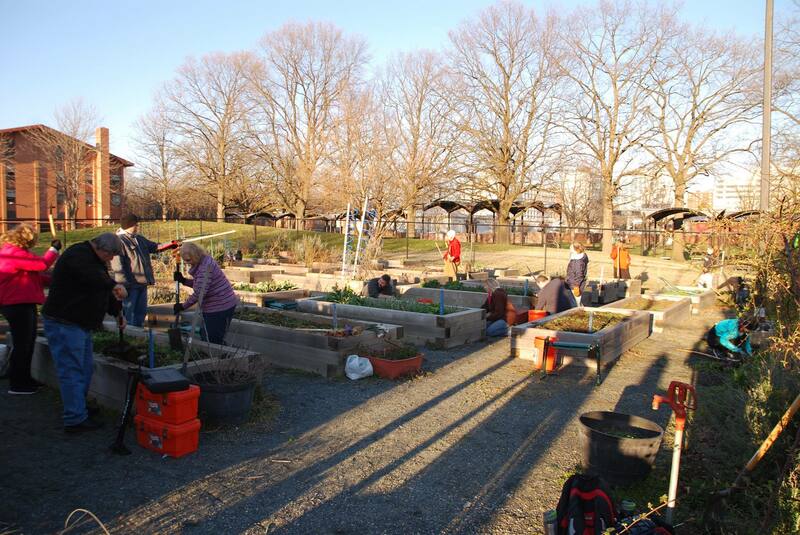 In 2015, we had 364 total visits to the garden, with 58 new visits, and an average of 10 people per workday. This year, we had a total of 655 visits, 80 new visitors, and an average of 13.5 people per workday! Overall, from 2014-2016, we’ve had a 180% increase in visits during our workdays! More isn’t always better, but whoa! 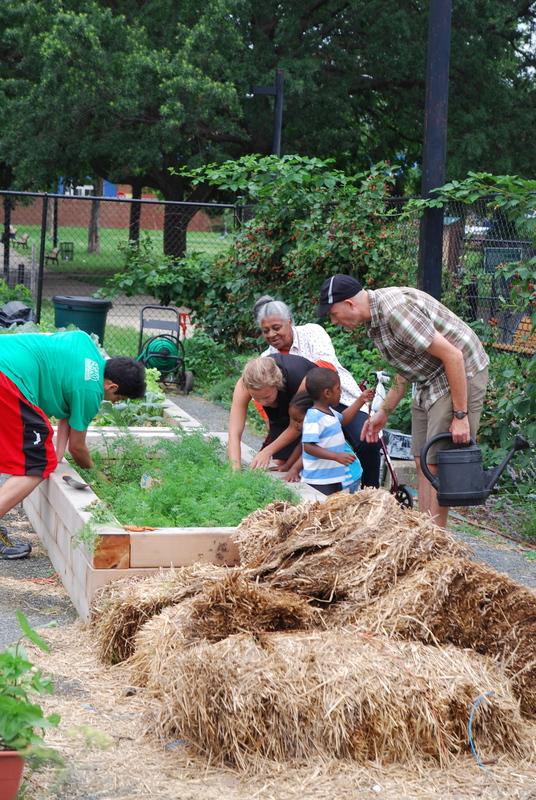 While the garden is closed, we will recharge, take time to reflect, and start thinking about what we can do to continue becoming a valuable component of the community. If you have ideas, suggestions, feed back, or want to get involved, feel free to get in touch with us. If there are items that you think we should purchase, let us know! We’ll start preparing for our spring kick-off in February, so you can expect to hear from us then! Enjoy the rest of the year, and see you in the spring! Spring Kick-off Less Than A Month Away! Our 3rd annual spring kick-off event is about a month away. Mark your calendar, April 2nd, from 11am – 3pm. 11 – 11:30am: Stretching, warm-up led by M Street Yoga. 11:30 – 11:45am: Biosolids demo by DC Water. 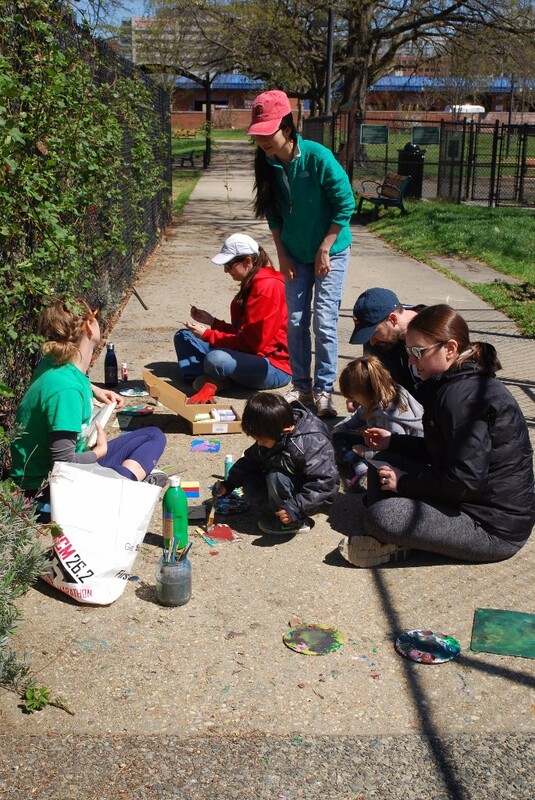 For those that don’t want to get their hands dirty, or want to take an artisitc break, there will be a painting activities throughout the event as well! 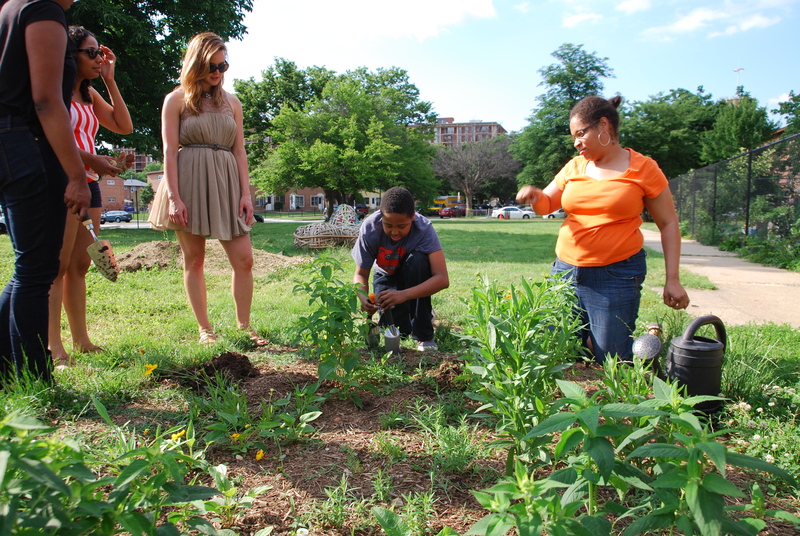 The spring kick-off represents the reopening of the garden’s communal section for the year. After this, we’ll begin having our regular work days again. Remember, our work days are open to anyone to help out and volunteer in. 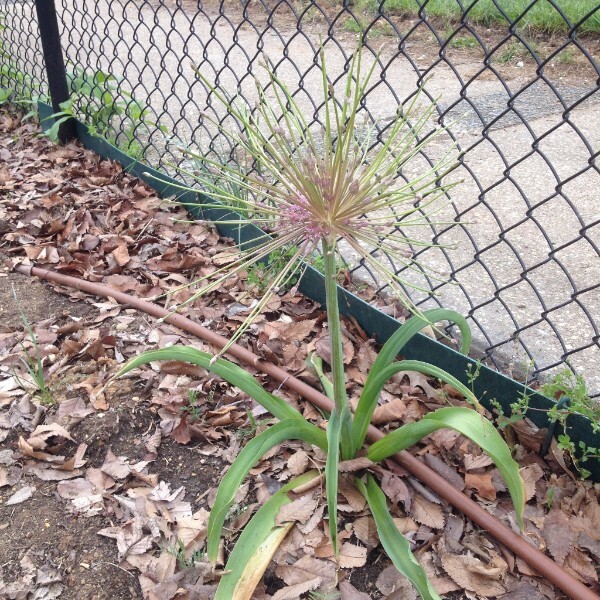 No prior gardening experience is needed, and all suggestions and input are welcome. If you’re interested in staying in loop with our communal section, you can join our newsletter here. Hope to see you in the garden! Today, June 21st, is the summer solstice — the day when the sun sits in the sky for the longest period of time. From this point forward, the sun will begin appearing in the sky for an increasingly shorter period of time, until its climax, the winter solstice in December. 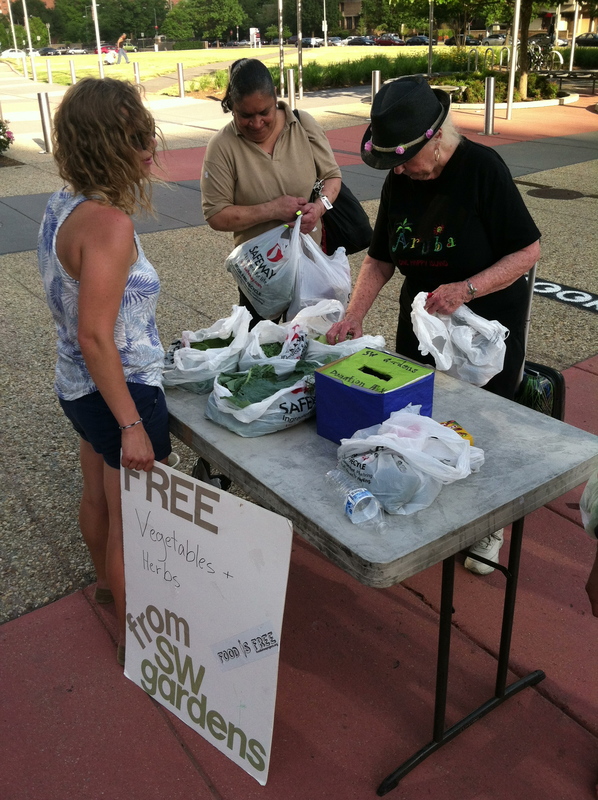 We’ve also kept to our #FoodIsFree mantra by setting up a table outside the Waterfront metro, offering free produce to passersby. 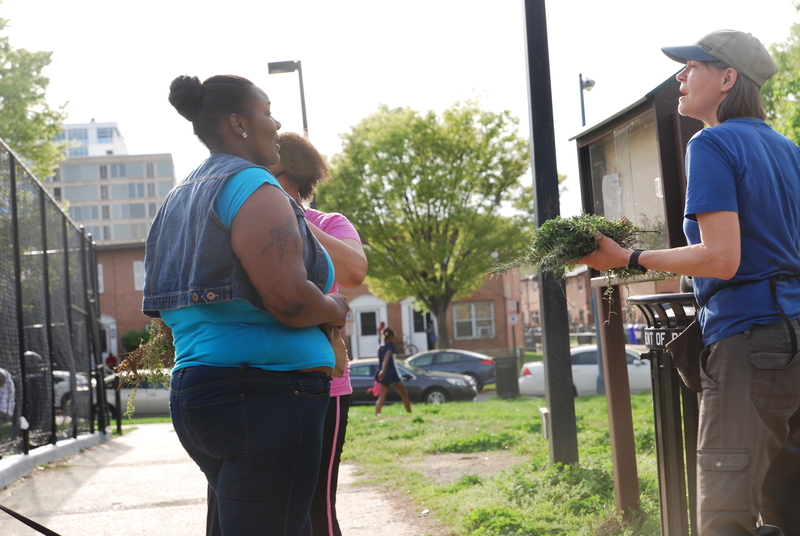 We offered kale, collard greens, spinach, lettuce, and thyme, all for free. 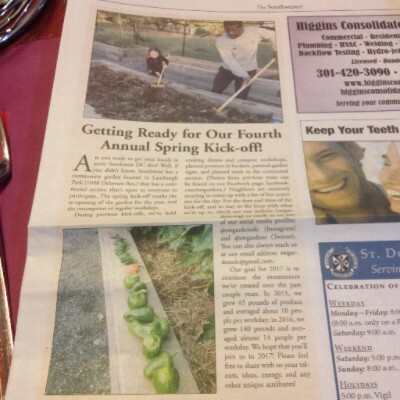 In the process, we received $10 in donations, and help spread the word about the garden, and what we’re doing there. There has been a steady number of regular, and new visitors to the garden this year. So far, there have been 200 visits, 43 of which have been newcomers. 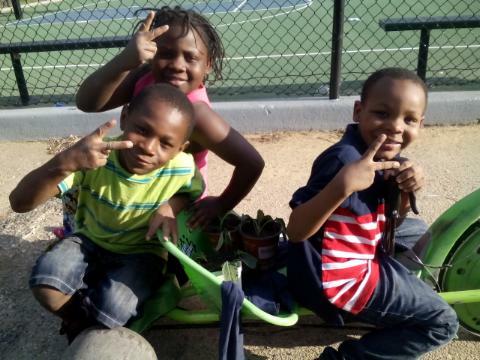 It’s been great to see some of the original neighborhood kids that visited the garden when it first opened, still showing up, applying what they’ve learned, and then teaching their peers how to take care of the garden. 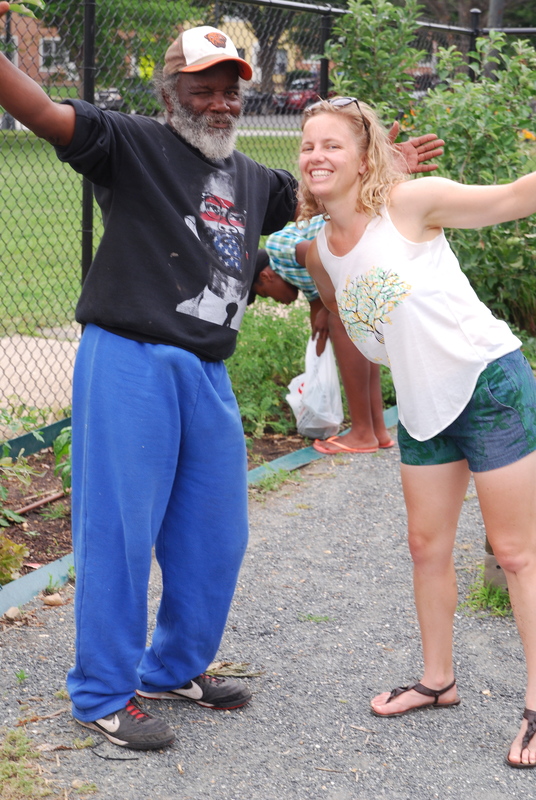 In addition to the kids, we’ve had other residents of the community stop by to help out, pick up some produce, or just explore. 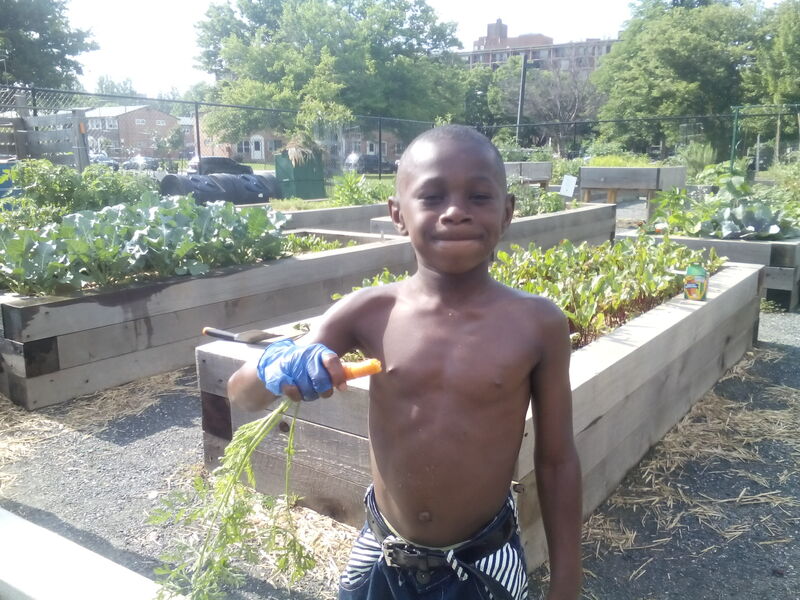 It’s exactly why I initially became interested in urban gardening: food brings people together, regardless of race, age, class, sexual orientation. Once together, we can see and discuss our similarities, and talk about the visions we’d like to see in our communities. 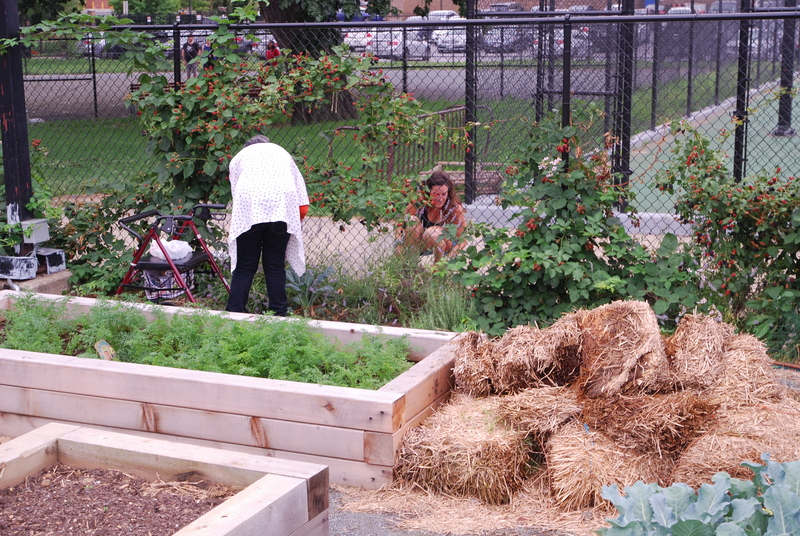 We’ve witnessed neighbors interacting with others, with food being the catalyst for conversation. It’s been a beautiful thing to be a part of, and I hope this trend continues. In addition to the habitat garden, we’ve also planted sunflowers, marigolds, zinnias, cramer’s rose, and snapdragons. 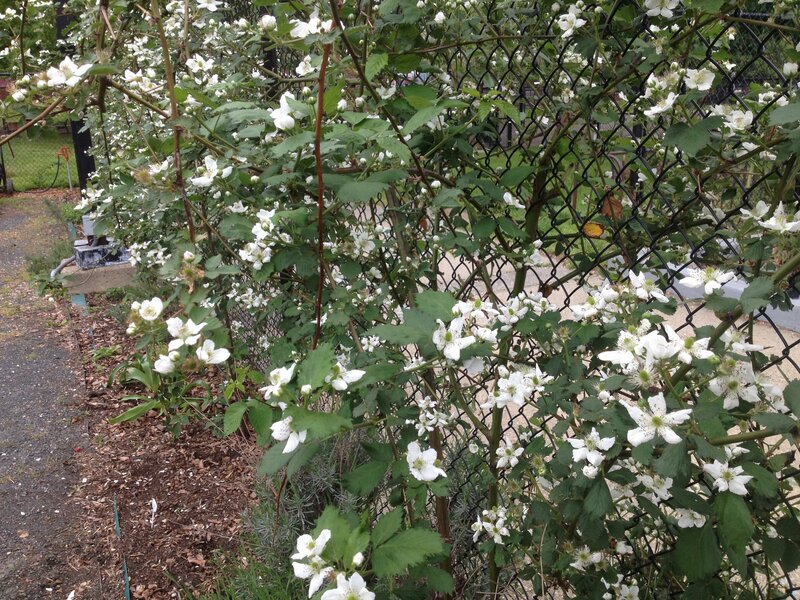 The garden is becoming a beautiful place to spend an hour or two, and we hope to see you in there!